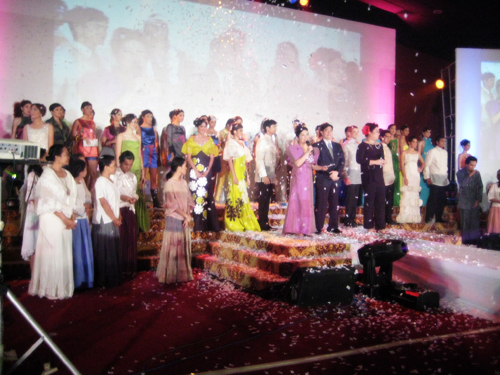 The UP Grand Centennial fashion show last night was a big success. We went home past midnight since we partied a little bit after the show. I meant to post this last night but fell asleep while uploading the pictures. Haha. Picture taking in the backstage while waiting for the show to start. People on the photos from left to right are Danny Booc, Aref, Marikit, Jaime, Queency, Angelica, Maria and Larry. The fashion show was the last segment so we had time to do picture taking in the backstage. This is me with Donald and Sir Danny Booc. I think during this time, Gov. Gwendolyn Garcia is having her speech about her UP days. Me wearing an Amorsolo Hofer Retrospect designed by OJ Hofer. 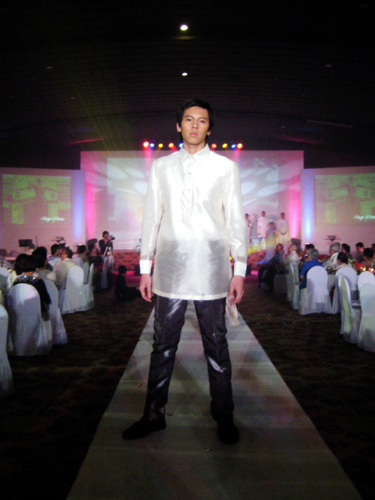 Me wearing a Circa 1900 Barong Tagalog designed by Ray Kuan. Lining up in center stage getting ready for the final catwalk parade. Closing ceremony. 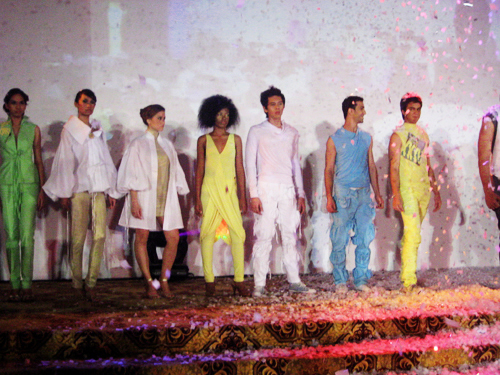 After our last catwalk parade, we were finally done. We went and changed at the backstage and had our dinner. Good thing it was a buffet so we still had food left for us. Hehe. I enjoyed the show very much. Most of all, I’m very happy to be given a pair of designer pants from OJ Hofer. Many thanks sir OJ! i like the Amorsolo Hofer Retrospect you wore.. it fits you perfectly.. Good Luck on your upcoming shows bill… You’re the man..
Nagkamali ata ako ng lagay ng comment. Hehe. Dun ko nalagay sa photoshoot mo. 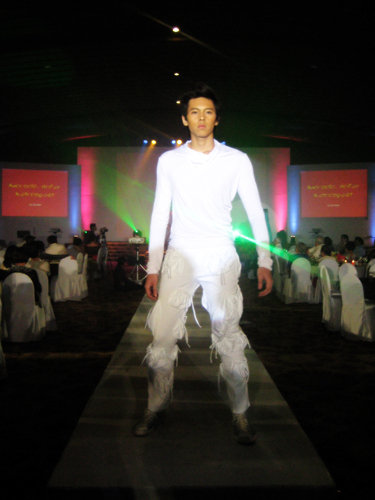 I would love to be involved again in fashion shows. Kailangan lang talaga ng katawan. Hirap pag genes ang kalaban e.
this is a nice article with have a good them.